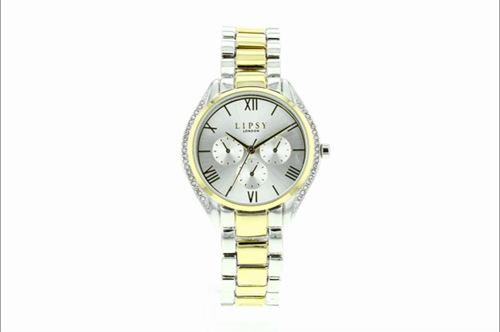 Get infinite sparkle and glamour in abundance with this ladies' Lipsy two tone stainless steel bracelet watch. With its dial inset with stones showing the position of the hour markers, this watch is sure to get you plenty of attention. 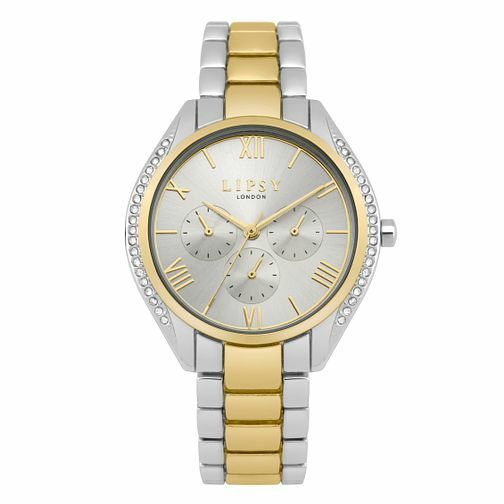 With its gold tone hour markers, time hands, casing and Lipsy logo contrasted by the silver dial, this watch pushes the limits of luxury.